Get a new car at the lowest possible price with the right finance and ZERO hidden fees. It’s quick and easy with ALP. We’ll provide you with a dedicated ALP consultant to negotiate on your behalf with the dealers and help secure the lowest car purchase price - and get a higher value for your trade in! 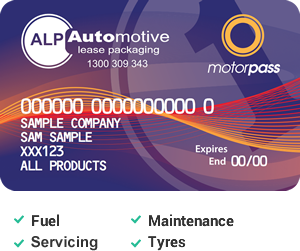 Your fuel, maintenance, servicing and tyres all taken care of with one simple card. Since opening the doors over a decade ago, ALP has become Australia’s one-stop shop for car finance and leasing by putting customer needs and interests first – helping more Australian’s make their car dream a reality. We can take care of everything over the phone, or you can walk into our office and talk face-to-face with one of our friendly consultants for your new or used vehicle, from a dealer or private seller. In addition to delivering a tailored finance package that is more cost-effective than the competition, we aim to always provide outstanding customer service to make you smile. Our easy application process and fast settlement policy ensures you get a great deal and drive away in your new vehicle within days, not weeks – And we take care of all the boring paper work so you drive-away happy.